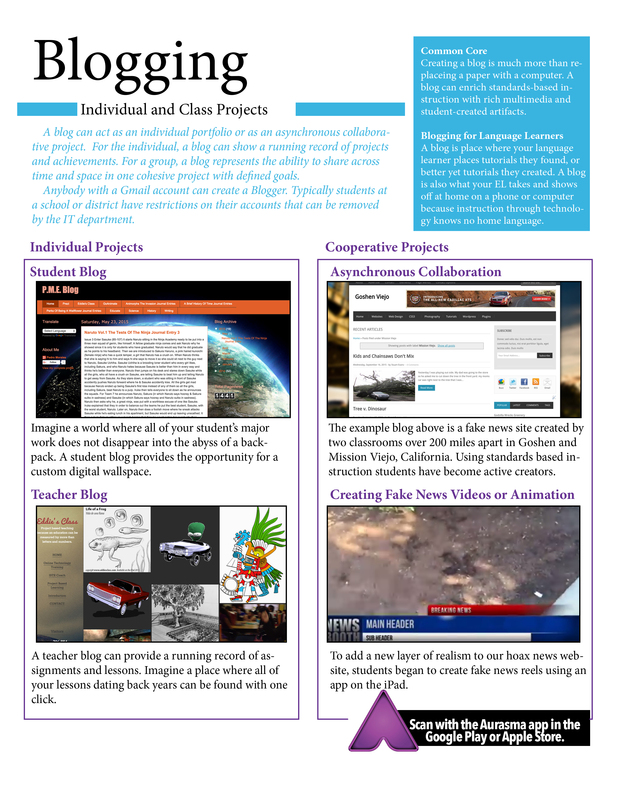 Description: As a teacher new to a district my coach project was centered around distributing technology through my new school site in a “gentle breeze” fashion. As a gentle breeze, my primary goal was for my students to become technology leaders and providing teachers with technology support for implementing their own projects. 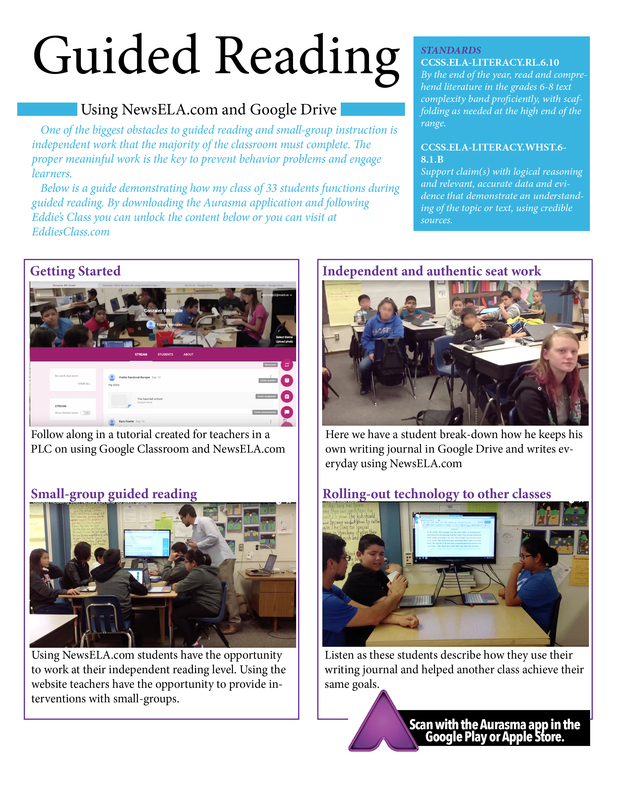 In my class my students are blogging, creating 3D models, using NewsELA.com for guided reading, using Google Drive, and KhanAcademy.com. 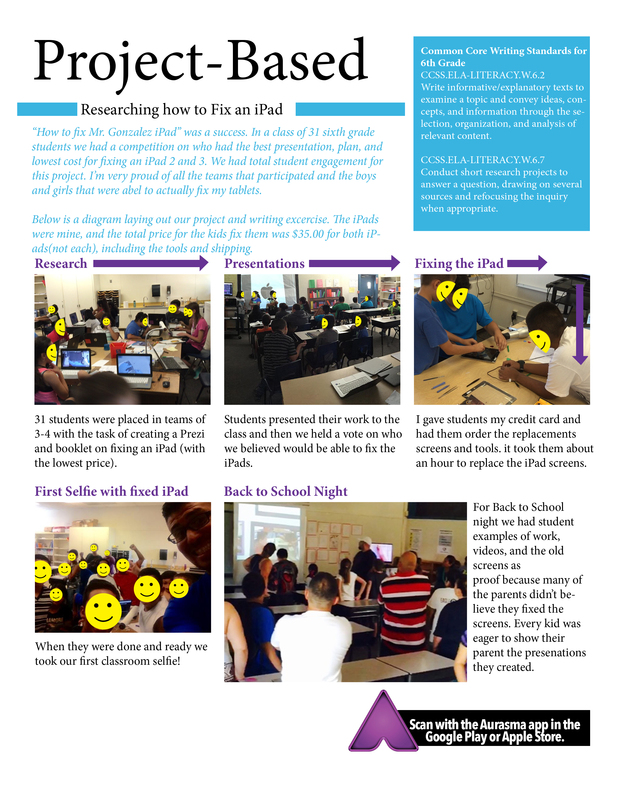 Evidence of success: The project was successful because my students were invited to 3 classrooms for peer-tutoring in technology as well as working with another class in Orange County via asynchronous technology. 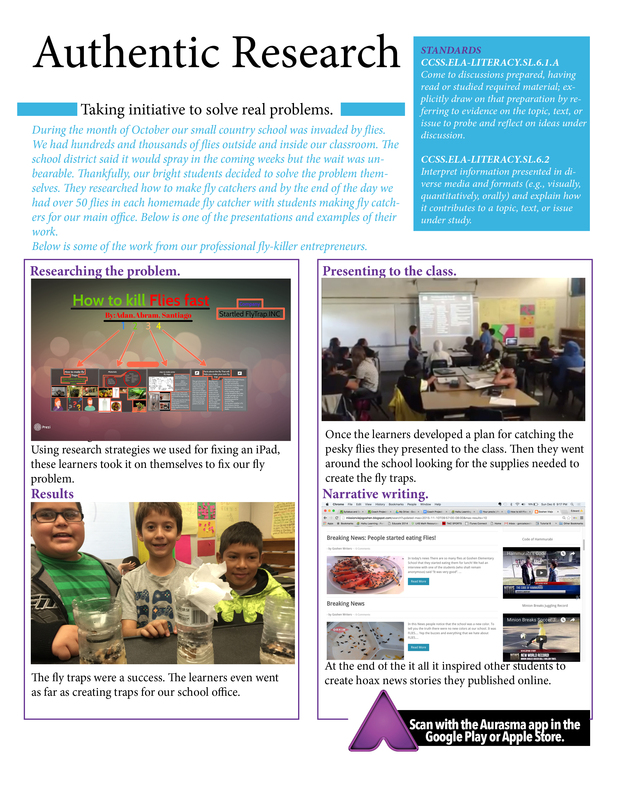 Furthermore, my students were looked at as problem solvers that were able to take an active role in a unique problem that occurred at our school site. 6th Graders Signing Up 3rd Graders for Khan Academy. Teachers involved: On the academic side our classroom worked with 5th grade teacher Ms. DeArmond in small group-guided reading instruction with NewsELA.com, 2nd grade teacher Mrs. Stevely-May also with NewsELA.com, and 3rd grade teacher Mrs. Ng for signing up her class and teaching them to use KhanAcademy.com. In a non-academic project my students worked with our office staff on a project with a fly infestation (we live out near dairies, the district refused to spray, and there were millions of flies). ISTE C Standard 3: Digital age learning environments Technology coaches create and support effective digital age learning environments to maximize the learning of all students. b. Maintain and manage a variety of digital tools and resources for teacher and student use in technology-rich learning environments. c. Coach teachers in and model use of online and blended learning, digital content, and collaborative learning networks to support and extend student learning as well as expand opportunities and choices for online professional development for teachers and administrators. Download the Aurasma app for your iPhone or Android phone, follow Eddie’s Class, and scan the following pages to unlock the extra content. Each page represents the separate phases of my ISTE Coach project.